The main attraction of a home party is a delicious meal and conversation with close friends. But there are times when you cannot properly prepare due to the lack of time. Here, we will introduce hassle-free tips and tricks of setting your table to impress your party guests. The Centerpiece,The heart of the party. Every table should have a main attraction, and the simplest one is a large cutting board. 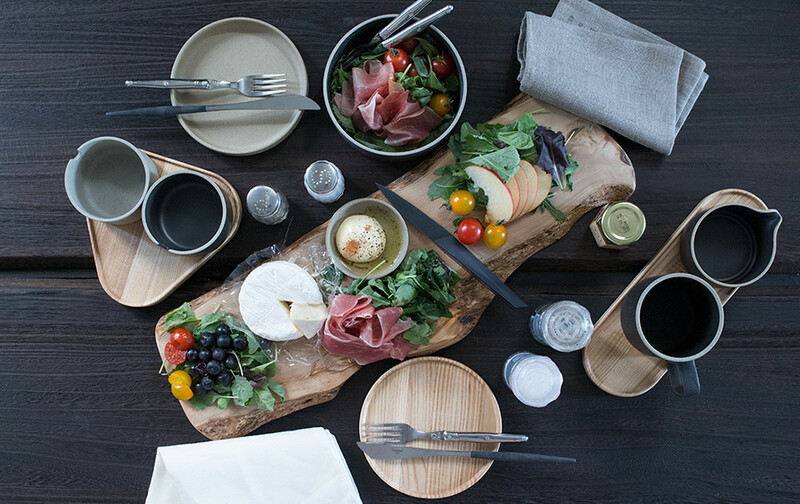 Having a cutting board on your table as a centerpiece for a home party will greatly alter your guests’ impression. For instance, just placing ham, cheese, vegetables and fruits on a cutting board will create a lavish atmosphere. 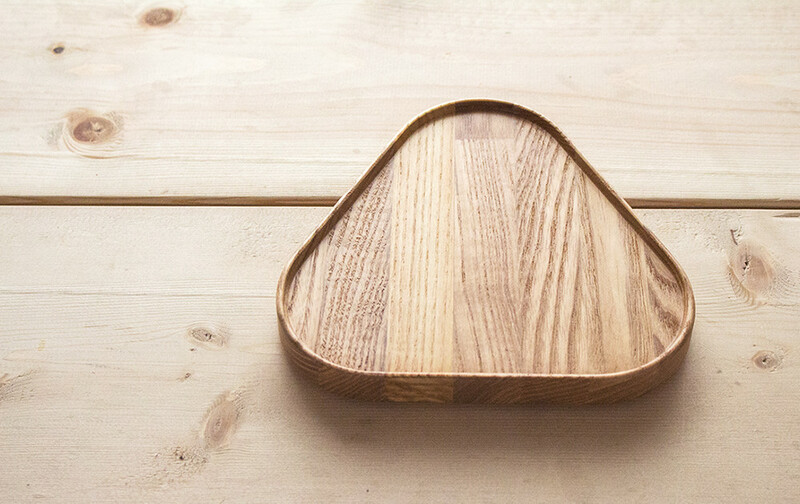 These cutting boards were created from olive trees in Andalusia, Spain and are an indispensable item for home parties. Every year, the master of the olive garden, as if having a dialogue with individual trees, handpicks and makes them in limited quantity. The various grains and shapes that result from the traits of each tree is both unique and visually appealing. 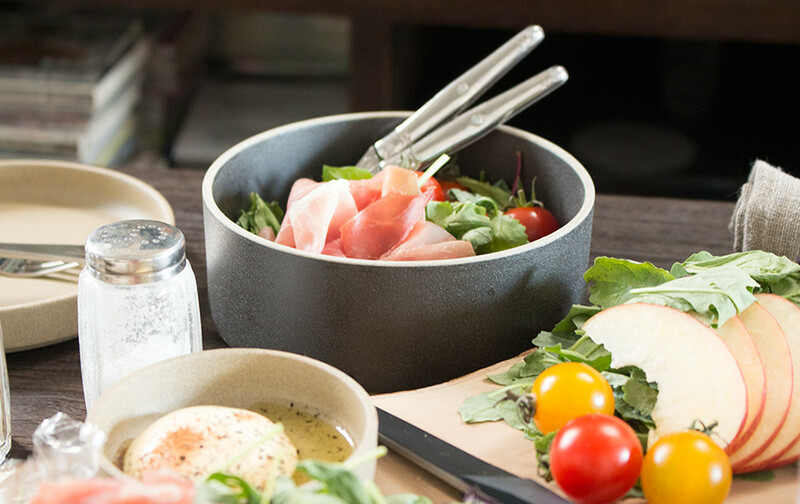 The rule of party tableware is to be simple and stackable for easy storage. 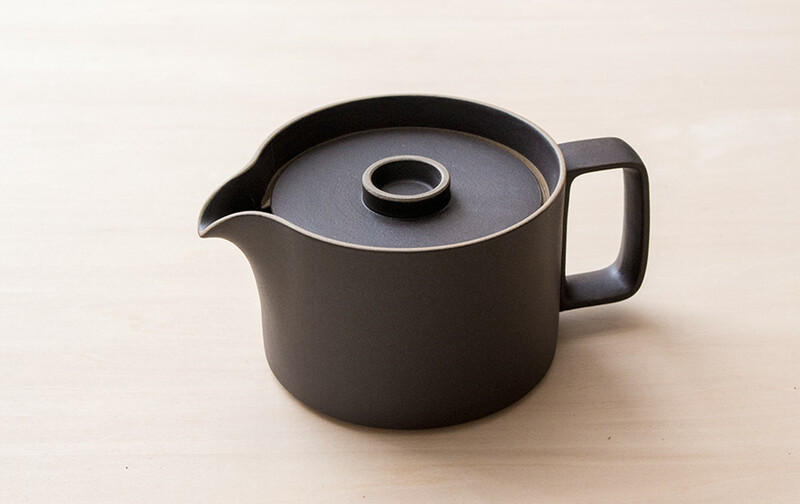 Originating from Hasami, Nagasaki, HASAMI PORCELAIN revolutionized traditional porcelain into modern tableware under the direction of Takahiro Shinomoto. 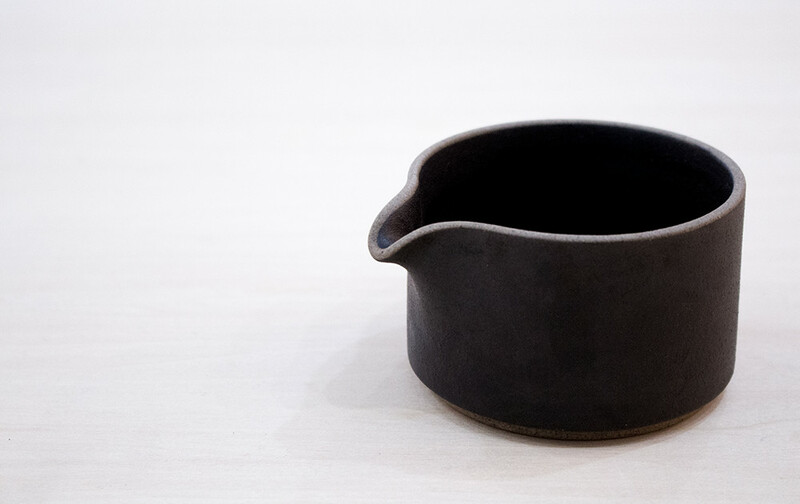 It has a more modern shape compared to other porcelain and a softer, organic touch. 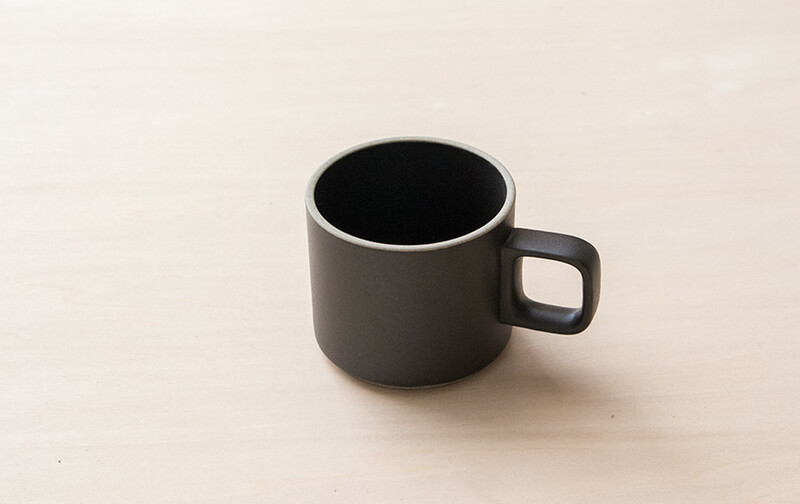 The main feature of HASAMI PORCELAIN is the standardized measurements of the mug cups, bowls, trays and individual items, allowing for perfect stacking. Not having to waste space when storing and moving is a great appeal. 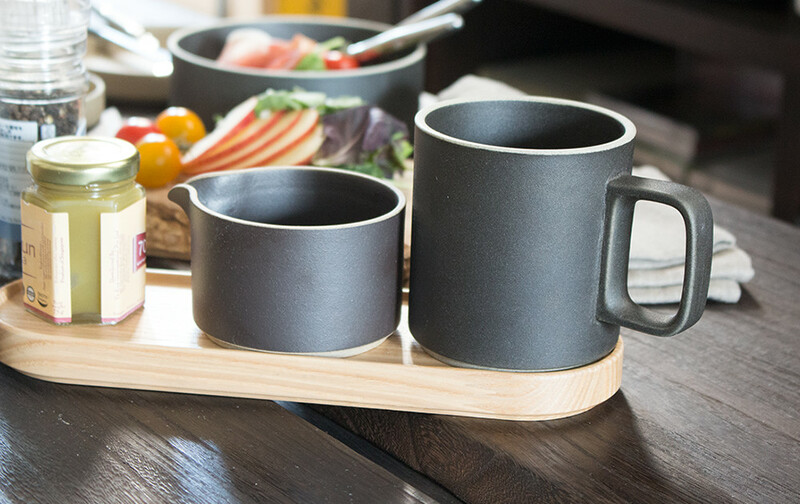 The simple design is enhanced when they are placed side-by-side; black and beige goes well with the cutting board and is ideal for parties. 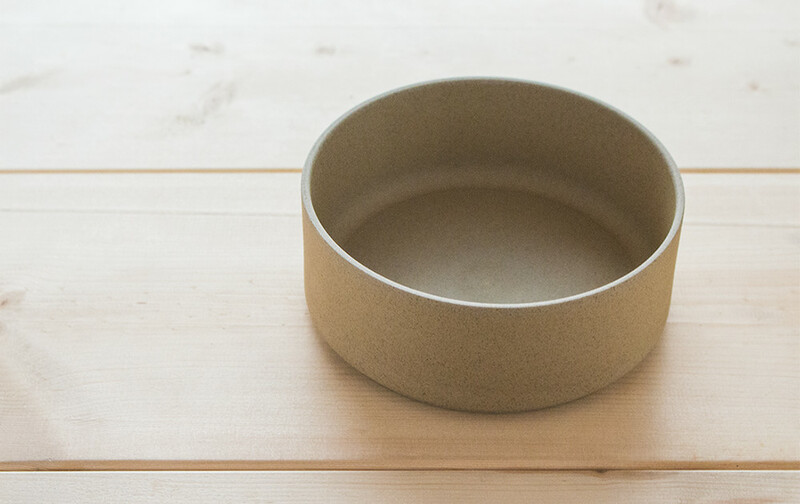 We recommend creating your table setting first with HASAMI PORCELAIN. 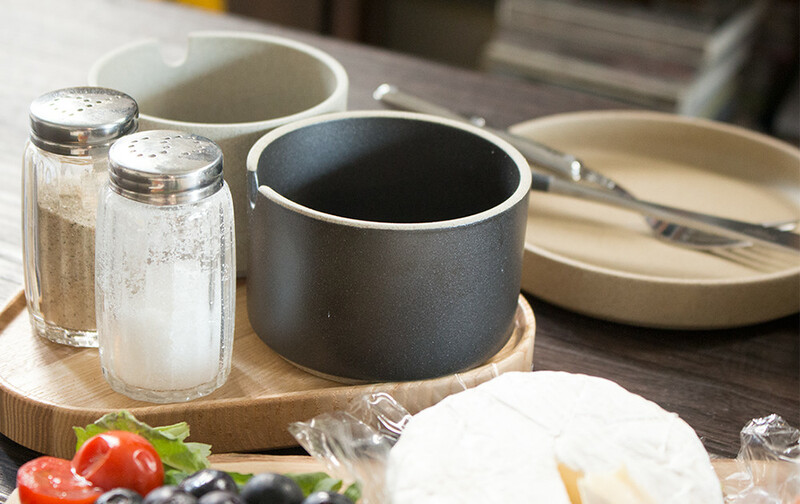 The wood trays are made of ash and cradle the tableware seamlessly to create a natural-looking mise en place. 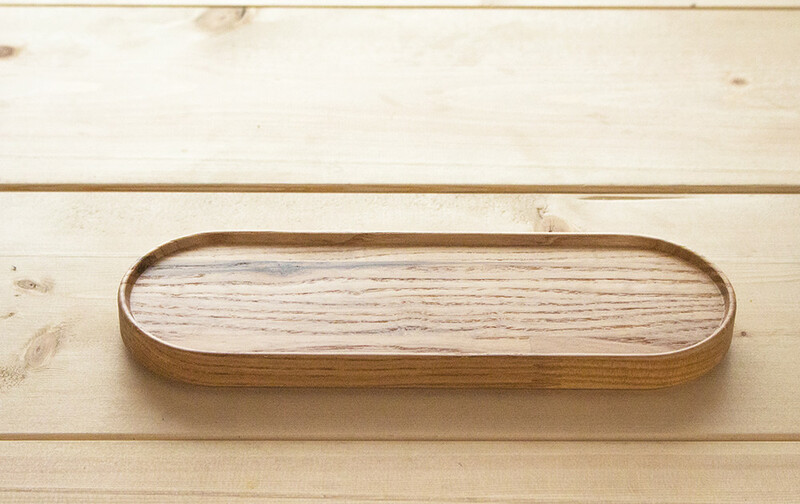 The ash wood tray introduced earlier creates a natural atmosphere when placed near the cutting board like this. 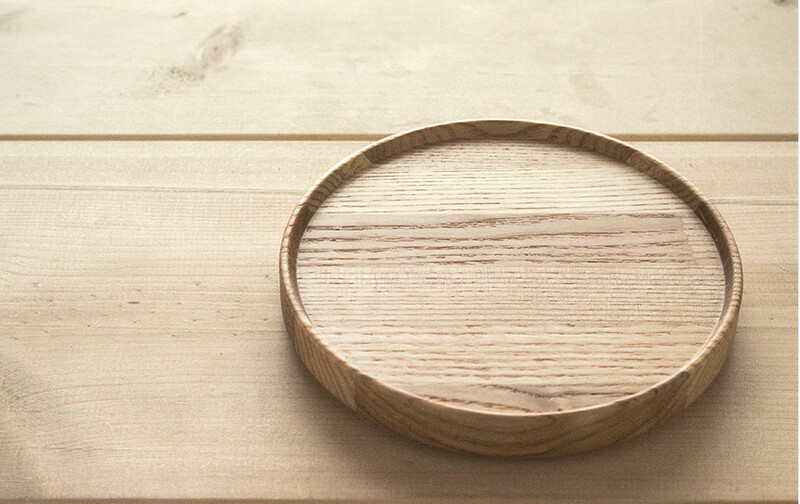 The key point is to balance the color of the wood against the black and beige of the dishes. There are an assortment of tray sizes including a triangular shaped one that can carry 3 mug-sized bowls, an elliptical one, and a useful small round one that can be used as a lid. After enjoying a meal with drinks, round up the party with delicious freshly made coffee. 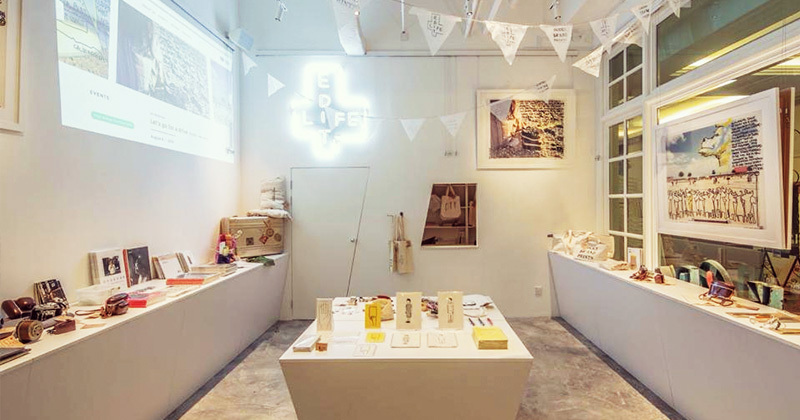 EDIT LIFE has developed an original blend in collaboration with Cafe Biot, a self-roasting coffee shop established in 1973. Coffee fanatics who drink coffee from morning until night may like the milder and easy-to-drink ‘Wake up Coffee’. For those who want a perk-me-up after a night of drinking or to prepare for a long night, the richer and fuller-bodied ‘Concentration Coffee’ is recommended. Both are easy on the palate, but first timers should start with ‘Wake up Coffee’. Additionally, having a coffee mill will enhance your post-dinner time even more. Grind and brew your favorite coffee or use beans that a guest brought. Enjoy it with everyone and have a lively time. Baristas always recommend grinding beans fresh before brewing, as pre-ground beans lose their flavourful coffee oils once exposed to air. 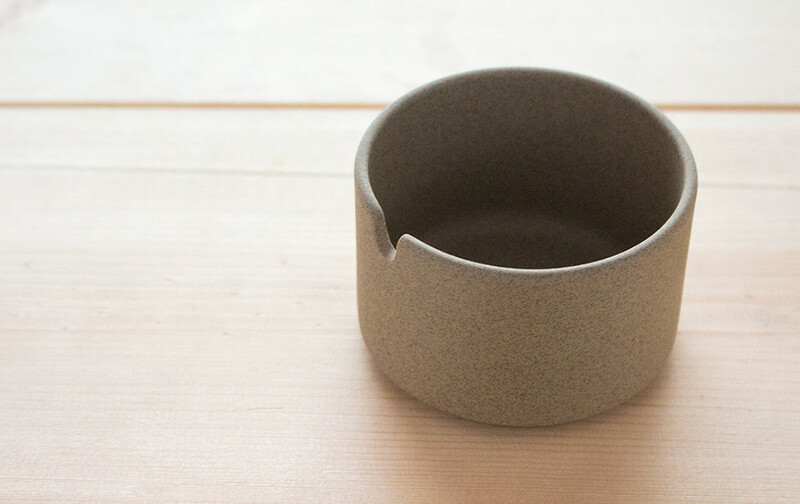 A simple ceramic hand-grinder is perfect for home use and for making your personal handcrafted beverage. The coffee grinder seen in the photo is by MokuNeji, a brand that marries the two ideologies of [Craft] and [Industrial]. 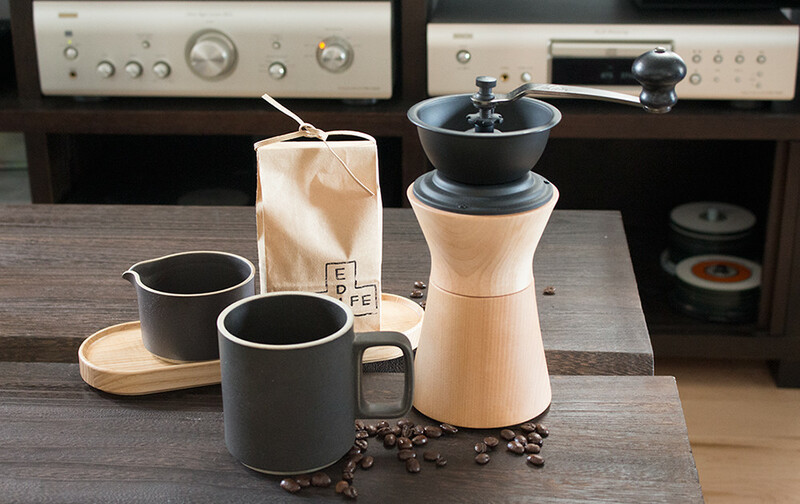 The beautiful wood grain conforms naturally in a hand, emitting warm vibrations as you grind coffee. 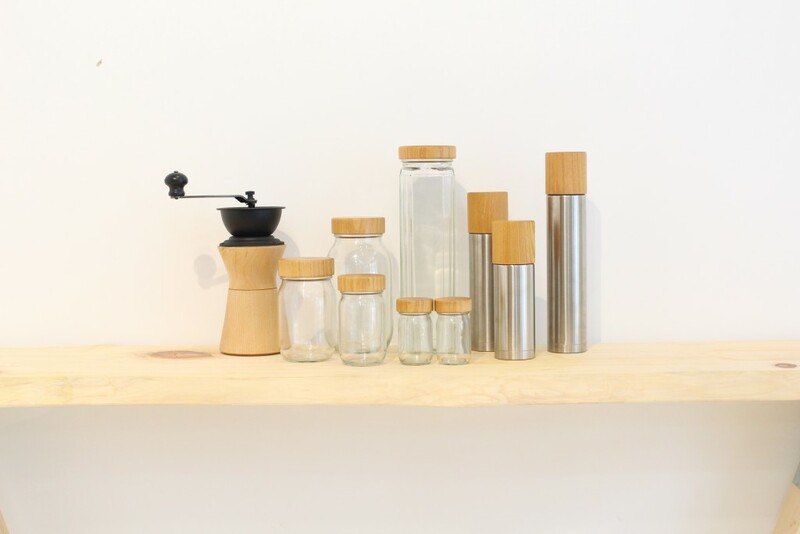 The coffee mill is made with a pottery technology instead of woodcarving. 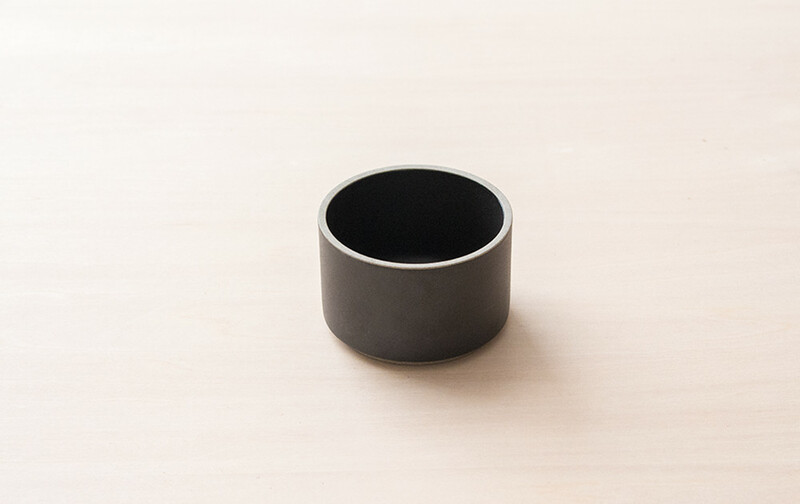 This technology originates from a lacquerware producer in the Ishikawa Prefecture and is also used in the Kalita coffee brand known for its beautiful yet functional form. The price tag of 18,000 yen ($SGD213) might seem pricey for a hand grinder, but each wood piece is unique and so well-made that it is definitely a piece worth splurging on. 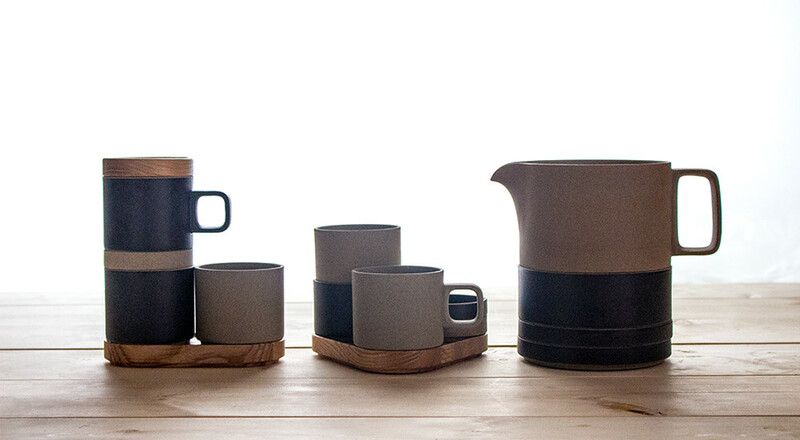 In addition, it will fit in perfectly with HASAMI PORCELAIN’s milk pitcher and sugar pot set, complementing each other for your elegant dinner party. Out of stock. Please contact us.